The WWE reported their second-quarterly report on Thursday, which covered the period from April through June, including WrestleMania 34. 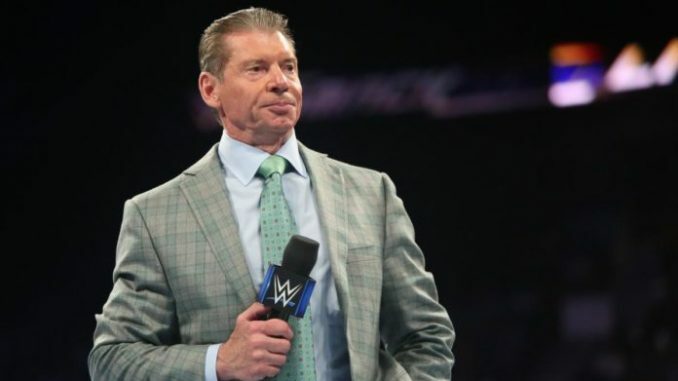 For the quarter, the company posted net income of $10 million off of revenue of $281.6 million, which would be a record for revenue in one quarter for the WWE. The core sectors of the business saw their Media Division bring in $202.6 million in revenue with $32 million on operating income, which is a big jump from $9.6 million in 2017. That breaks down to $56.2 million for the Network sector (up from $52.1 million), $66.2 million for their core content rights (up from $60.1 million) and is a segment that will explode over the next six years with the upcoming domestic rights deals that go into effect in October 2019, Advertising & Sponsorship saw revenue of $19.6 million (up from $13.1 million) and “Other” was listed at $60.6 million (up incredibly high from $11.9 million last year). “Other” was defined as “distribution of certain programming content in international markets”. On the conference call, the company stated that due to a confidentiality clause, they could not release the figure associated with the deal with the General Sports Authority of Saudi Arabia, but it would seem like the amount paid to the WWE for the Greatest Royal Rumble would be included in this “other” section. The company added that the ten-year deal in Saudi Arabia calls for one annual show and seemed to indicate there would not be a card later this year, which had been reported after the Greatest Royal Rumble with a possible November follow up event. As of June 30th, the WWE Network had a total of 1,787,000 worldwide subscribers with 1,742,000 of those paid subscribers (1,272,000 U.S., 470,000 International). To analyze their retention rate from WrestleMania, on April 9th the network had a worldwide total of 2,124,000 subscribers with 1,808,000 paid and 316,000 free subscribers. For the entirety of the second quarter, they averaged 1,800,000 paid subscribers as compared to 1,634,000 for the second quarter of 2017. Live events brought in $13.4 million off $52.3 million in revenue, which was down from one year ago with $17.1 million off $52.8 million. They ran 90 events in the second quarter (61 in North American and 29 International shows) as compared to 92 last year (66 North American and 26 International) with an 8% decline in North American attendance to 5,900 (5,000 without WrestleMania 34) and an average ticket price of $81.21 in North America. Internationally, attendance dropped 10% to 5,700 with an average ticket price of $78.31. Although attendance dropped, the company took in more per ticket and has mitigated their attendance drop with higher priced tickets. Consumer Products brought in $4.6 million in operating income off $26.7 million in revenue, compared to $5.5 million of $24.6 million in 2017. With adjusted OIBDA of $43.5 million for the second quarter, they have updated their target range for the year between $160-170 million. Following Thursday’s results, the WWE stock traded as high as $85.73 and closed at $83.84 following an open of $81.90 at the start of trading.